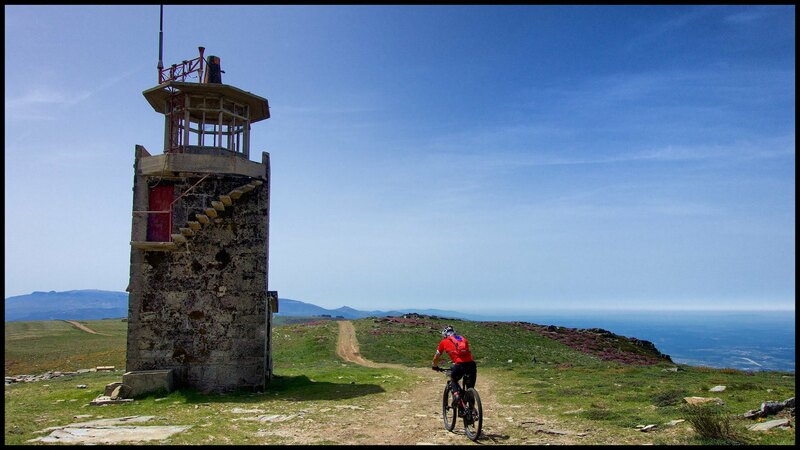 Eight consecutive days of stunning mountain bike riding along the ancient transhumanic highways that criss-cross the Iberian penisula. A time-travellers guide through the sweep of european history. 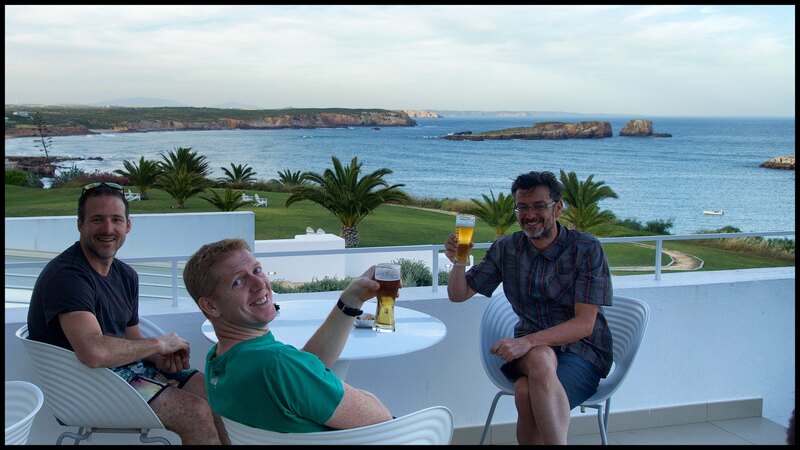 This epic adventure sallys forth from Braganca in the north-east of Portugal, a fortified walled town complete with castle, and spills its survivors onto the beach at the sacred promontory that is Sagres; Europe's most south-westerly point and once the literal end of the world. The race takes you on a journey over high mountains (hopefully snow free), through leafy pastures and golden wheat fields. The route cuts through old fortified towns with walled castles and keeps, jarring over ancient granite cobbles and over roads and bridges built by romans for their horse-drawn carriages that 2,000 years later still carry horse-less ones. A glorious and dramatic adventure in waiting, and I found it tantalising and tempting. Despite its alluring siren call, one look at the routes stats reveal the true scale of this event. Eight days, a 1,000km, 17,000m of vertical ascent. The shortest day (at 95km) was further than anything I´d ever ridden before, and it was also the toughest, with 3,300m of climbing... and that was followed by a day of 175km that still made you climb 2,500m and cross vast swathes of open countryside with little or no shade in temperatures reaching 40 deg. So why was I tempted? Apart from the obvious attraction of being totally immersed in riding for eight days, my current little adventures needed to be a little more... adventurous. I´d dabbled at multi-day rides before, organising an MTB ride along the Camino de Mozarabe a few times, riding across Andalucia on the GR7, looping the Cazorla National Park on the GR247...but I really fancied just passing over the logistics and administration to someone else so I could just ride and enjoy the experience and the challenge. A bit of research on multi-day events reveals the Trans-Portugal as the glitzy star in the firmament of multi-stage MTB endurance races. Sure there are tougher races out there for the self-flagellant to whip themselves with; races through jungles and deserts and over snow-covered mountains but if you want to carry your bike 10km across gaping canyons, or spend the night in a bivvy bag in sub-zero temperatures, drink Yak milk or share a church hall floor and cold showers with a 1,000 other sweaty bikers, then avoid the Trans-Portugal. The TP focuses on quality, challenging riding, followed by exceptional post-ride aftercare. No slumming it in refugios or eating MRE´s: bikes are cleaned and serviced by excellent mechanics at the end of each day, the massage tables are waiting, along with high quality post-ride fuels and excellent accommodation. The organisers even take your bags to your room for you. Thats not to say this is an easy undertaking, far from it. 1,000km in 8 days is never going to be "easy". 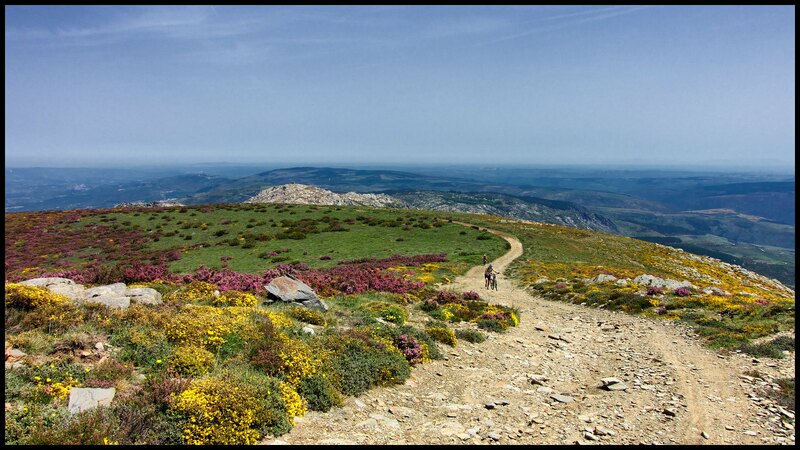 This is a very challenging route through the remote hinterlands of the Portuguese landscapes. Relentless climbs through pine forests, knarly descents down ancient by-ways, crossing the high, hot plains of endless wheat fields. You need to be well prepared. It challenges you, makes you wish you'd trained harder: then it rewards you with over night stops in 4* hotels in the most beautiful locations: fills your glycogen stores with fine-dining and caresses you with sumptuous beds and Egyptian cotton duvets and hot showers. The TP has an almost familial, intimate, atmosphere about it. A low capacity event and no "mass start" (riders start times are based on an age/gender-related handicap system) means you leave in small discrete groups of mixed ability riders. As the ride progresses through the day the group you started with morphs into other groups or splits into solo riders dotted along the trail. Like globules of wax in a lava lamp riders clump together then split and reform in an endless cycle of colour and sound as riders surge forward or back-off, stop for water or food or mechanicals. You can ride for hours on your own, soaking up the landscapes and enjoying the solitude and pondering on the meaning of life, or hook up with a group of diverse individuals from across the globe and share stories and experiences and make new friends. Riders become companions on the trail, exchanging tales, and providing succour when its needed most. The remoteness and lack of "intervention" adds to the feeling of intimacy. There are no florescent arrows signing your way, no garish traffic tape festooned across trees and posts, no feed stations, no marshalls adorned in day-glo jackets waving their arms. The entire route is unmarked and unmanned*. There are times when you can be completely alone, not a soul in sight, no sign of habitation, and no sign that you're actually in the middle of a race with a 100 other people about you...somewhere. Your passage along the race route is governed by your GPS. Your GPS becomes your closest companion; keeping you on course and steering you through featureless wheat fields or a maze of paths in tree covered hills. The entire days stage is marked on your GPS map as a "road". Just load that days map and follow the road. If your avatar strays from the black line, you're off course, and a moments carelessness and you´ll be following a different track and not the marked trail. You´ll be cursing your inattention, or false assumption, as you have to ride back to where you deviated because you were absorbed in conversation or lost in thought. The GPS always steers you right though. Trust in it, pay attention at junctions, and you´ll not lose valuable time retracing your course. The organisation is the best I´ve experienced. The TP team are clearly well-experienced in putting on this major event (2015 was the 13th edition), and the logistics of moving the entire race village every day are boggling. Everyone in the the support crew seems to enjoy themselves as much as the competitors. Once the riders have left and the race village packed up, you see crew members at certain points along the route, a welcome sight cheering and clapping and yelling encouragement. At the stage finish, the caterers are busy at work feeding the ravenous riders, the masseuses kneading away the lactates, the medics tending to the injured and fallen, mechanics servicing the bikes... The team are tireless in their efforts. After a long day, the guys are working until the early hours of the morning, and yet come sunrise they're up and attending to the needs of the peloton. A very professional team and they make you feel welcomed and wanted. Many other event organisers could learn from Tiago and Alfredo and their crew. The stages are all different, all challenging, and all inspiring. "Short" days are stacked with vertical metres; flat days are loaded with horizontal kilometres. Some stages are peppered with tiny hamlets with granite cobbles, populated by shepherds, widows dressed in black, and sleepy cats. The holy trinity of rural life, a church, a fountain, and a bar providing the sustenance needed for the spirit and the body. Other stages pass through vast landscapes with nothing but dusty trails, golden wheat fields and an endless blue sky. Whilst each stage, overall, is technically quite simple, each has a section or two that tests your handling skills and your tolerance for risk. Testing descents over offset slabs that once formed a carriageway; fast sweeping descents down broad loose shale fire-roads; sustained multi-kilometre climbs that persistently stay in double-digit percentages. If you're goal is a time and a high placing you´ll find plenty to push your limits, but many take a more tranquil approach and just aim to reach the next check-point before the cut-off time, a significant goal in its own right. So how did I do? Not bad. The first goal was to complete each day before the cut off, but my fear of the event had ensured I´d trained and prepared and I found my form was pretty good, so after day three (the day with all the climbing!) I felt good enough to start to push my efforts a bit more. Pushing the speed caused a bit of a spill on a tight turn on loose ground, but nothing serious. My riding buddy had unfortunately taken a big spill on day one, and had had to retire from the race, so complaining about a bit of gravel rash seemed churlish. I backed off a bit after that as the list of those fallen, injured and retired crept up. Finishing was more important than a placing for me, although it seemed to me that most injuries and spills happened in the most innocuous of places. Riders seemed to pay attention in the difficult technical sections (or dismounted) and completely underestimate the fast sweeping turns or the loose descents. In any event, arrival onto the beach at Sagres was fulfilling and emotional. The elation of having completed a truly epic adventure, the sense of sadness of not being able to share precious moments with my buddy who was nursing a shattered elbow. The party on the beach afterwards was full of folk sharing their stories and having a beer, and the required jump into the crashing waves of the Atlantic is rejuvenating. The race winds up with the evening awards ceremony where everyone receives their diploma and deserved recognition for participating in one of the worlds top mountain bike events. Would I do it again? Cant wait! For a cracking stage review written by a fellow rider of 2015 follow this link to his blog. For my tips and lessons learned go here. * I say "unmanned"- clearly safety is observed, there are manned checkpoints to make sure everyone gets through OK. You have to carry a transponder which sends your co-ordinates back to base camp in Lisbon (its also online so friends and family can watch your progress! ), there are motor-cross outriders who occasionally pop up along the remote wilderness sections, and theres a sweeper rider who rides the entire route at the back just to be sure everyones OK.